Found this complete kit end of 2015 in a beautiful state. Only minor scratches on the computer itself, working 100%. 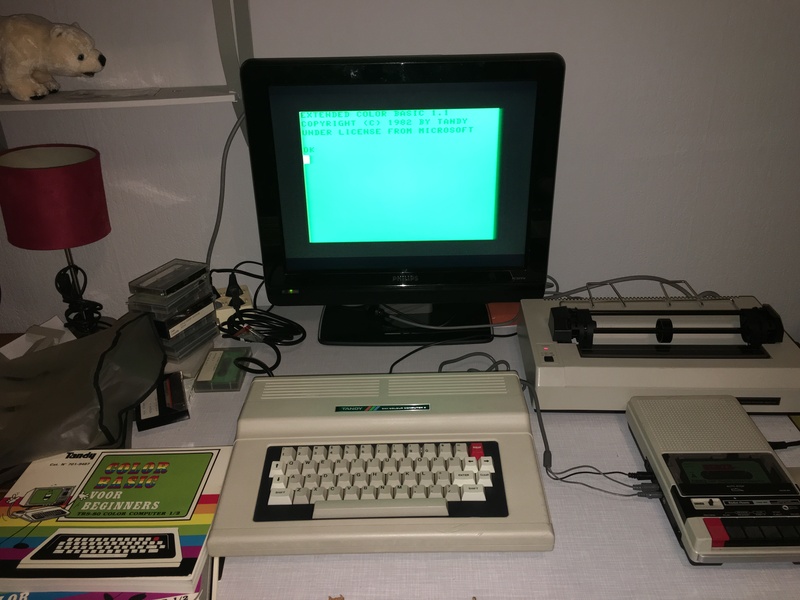 Including the DMP-105 printer and the original Tandy cassette recorder. Meanwhile I’ve got a ‘DriveWire Cable’ from cloud9tech which I use in combination with DriveWire4 to support disks on this Tandy.